Marcus & Lindsay’s MeadowBrook Farm Wedding was so beautiful. We loved capturing all the wonderful moments and sentiments of their day in Suffolk, Virginia. We have enjoyed getting to know the two of them over the past few months. 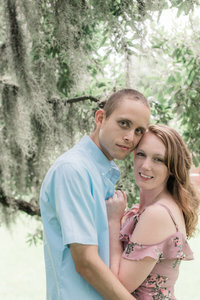 Their Chesapeake Engagement Session was a blast, so we knew their wedding was going to be amazing. They had so many personal touches and Lindsay herself made most of the decor for both the ceremony and reception! There were not many dry eyes during their ceremony. She was escorted down the aisle by her Mother to a recording of her Father singing John Denver’s song, “Follow Me.” Their reception was so much fun, especially with PourVA bartenders and Colonial DJs on site! They ended the night with a glow stick exit!